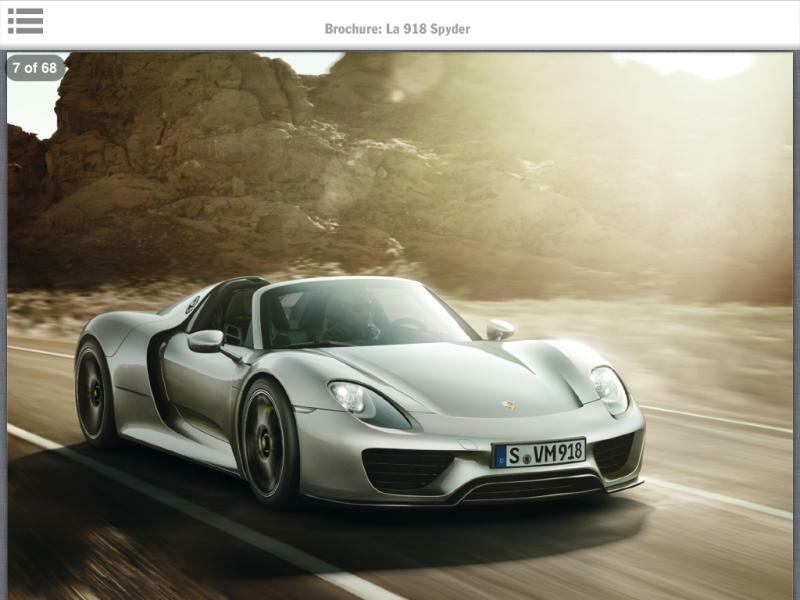 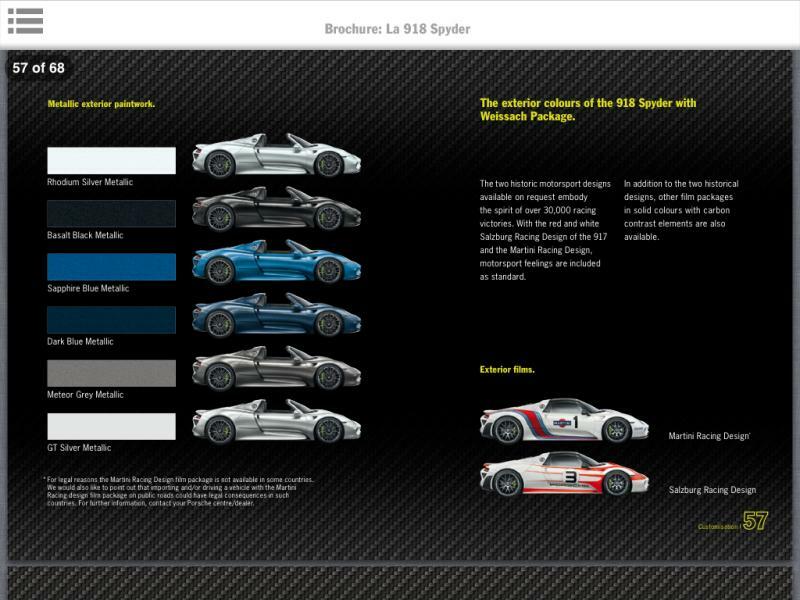 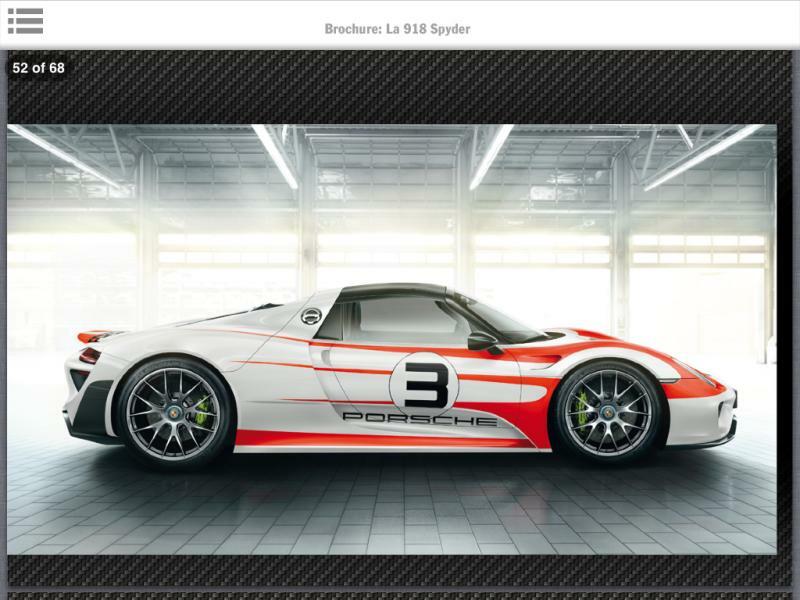 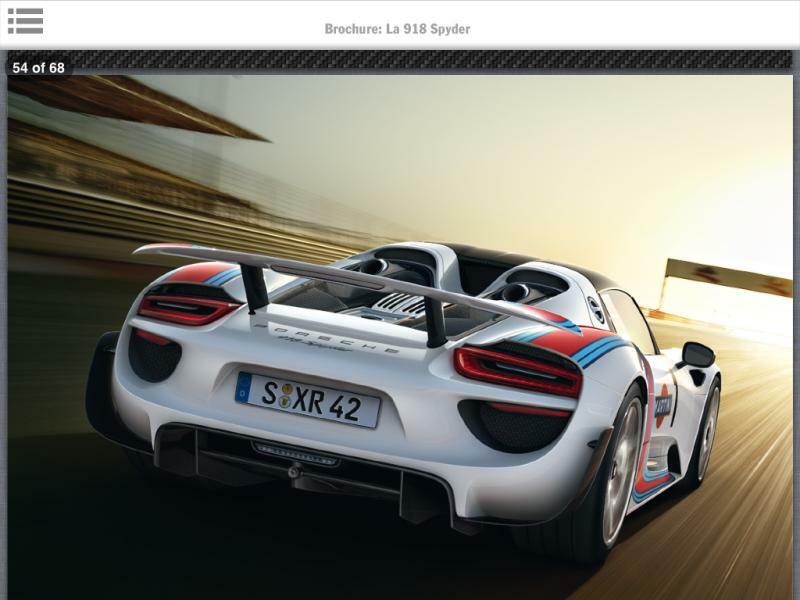 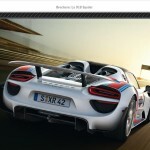 Following on from yesterday’s videos, these images from the official Porsche 918 Spyder brochure have mysteriously found their way on the internetwork. 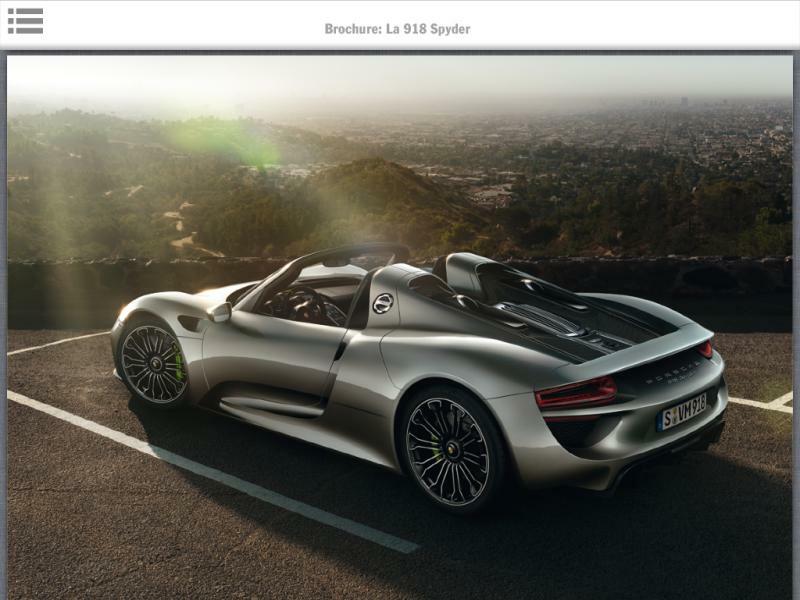 At the heart of the 1,160 kg Spyder is a 425 kW (570 hp) 4.6-litre V8 engine, which is backed up by a 90 kW (121 hp) hybrid module at the rear along with a 80 kW (107 hp) electric motor powering the front wheels. 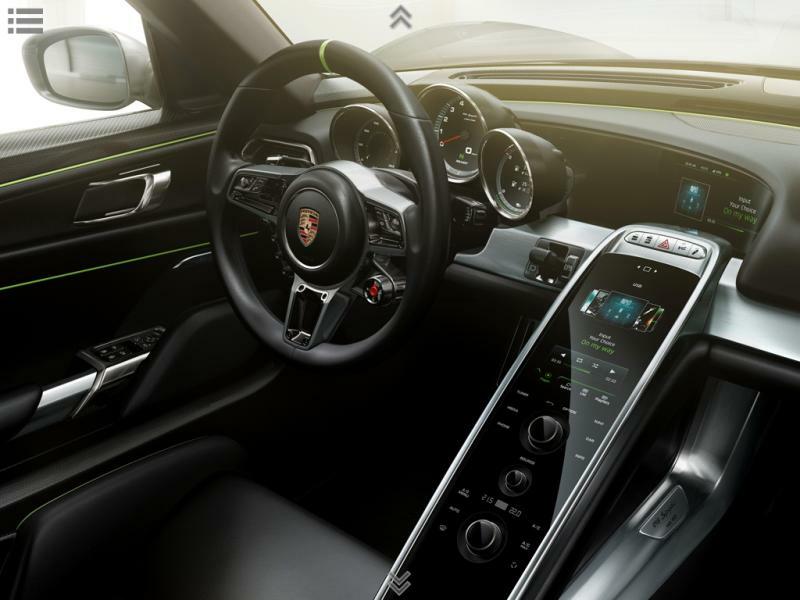 When using electric power alone, top speed is 150 km/h (93 mph) with a range of 25 kilometres achievable – depending on driving style but, with the full 574 kW (770 hp) a its disposal, 100 km/h happens in just 3 seconds, while top speed is 325 km/h (202 mph). 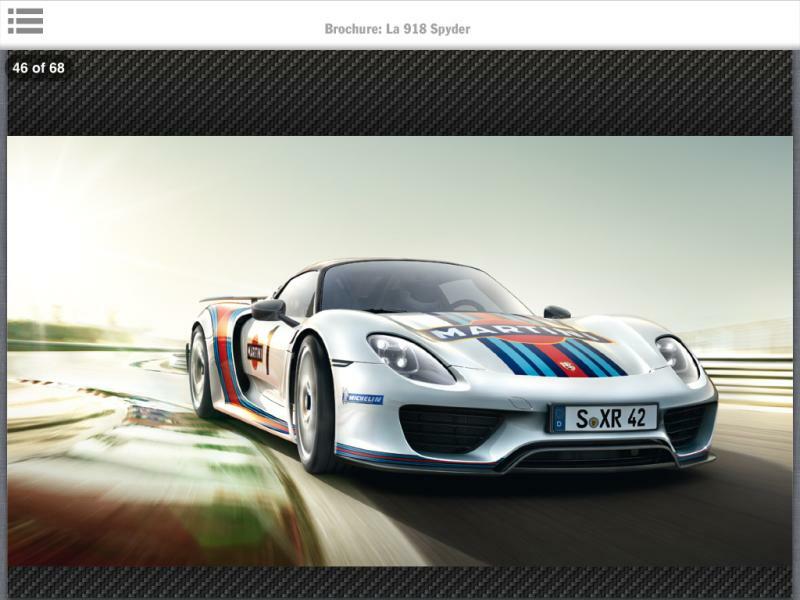 It has also recorded a time of 7 minutes, 14 seconds at the Nurburgring, making it the fourth fastest production car around there. 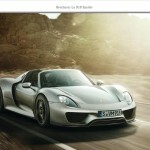 All from a car capable of consuming three litres of fuel every 100 kilometres. 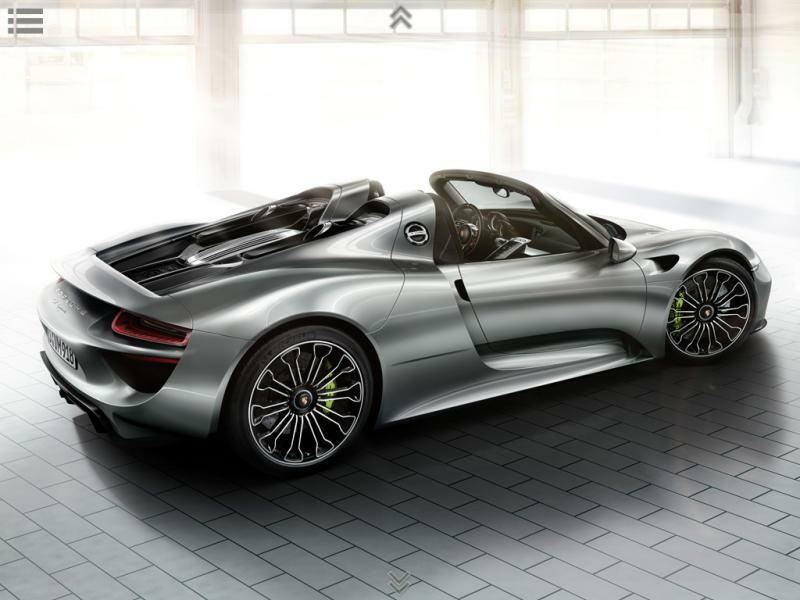 New information tells us that the targa roof panel is constructed from clear-coated carbon fibre and the front boot has a capacity of 110 Litres. 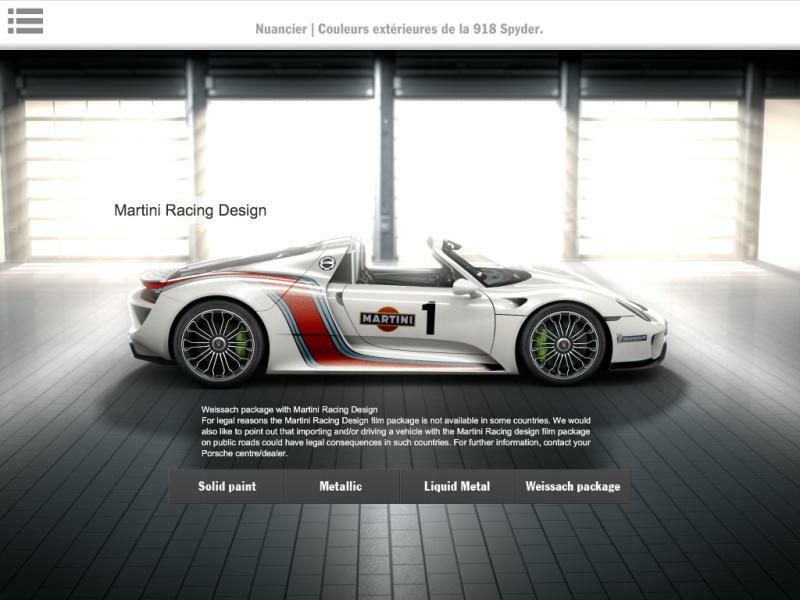 Optional extras include Salzburg Racing and Martini Racing body films, while the special Liquid Metal Grey or Blue paintwork finishes will set you back an additional €50,000! 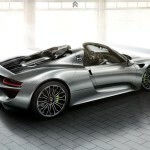 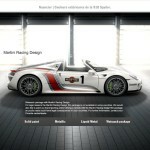 The most notable option is the Weissach Package, which includes six-point harnesses, front and rear dive planes. 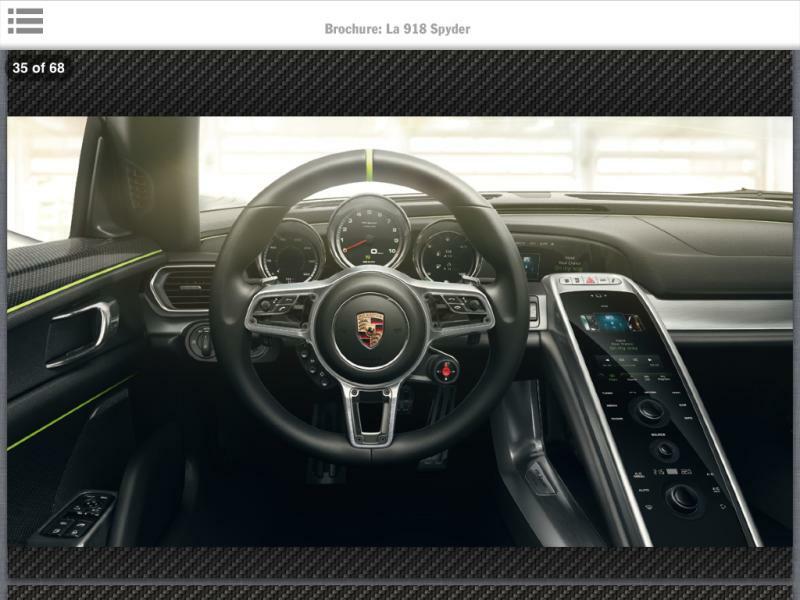 lightweight braking system, Alcantara and carbon interior trim. 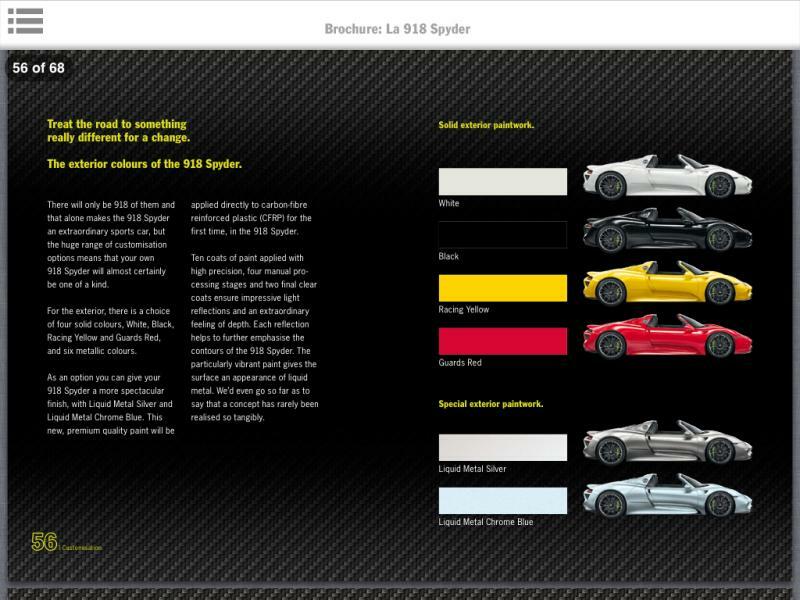 Deletion of the arm-rest, door storage, air-con and audio help to achieve a 35kg weight reduction.